Pond Cleaning & Maintenance – Waterrock Landscapes Inc. The pond clean- out process can be a messy proposition, power washing fish waste & decaying organic matter is not very appealing to most people. Our technicians have the necessary experience needed to effectively clean your pond, and not remove all the beneficial parts of your ecosystem. 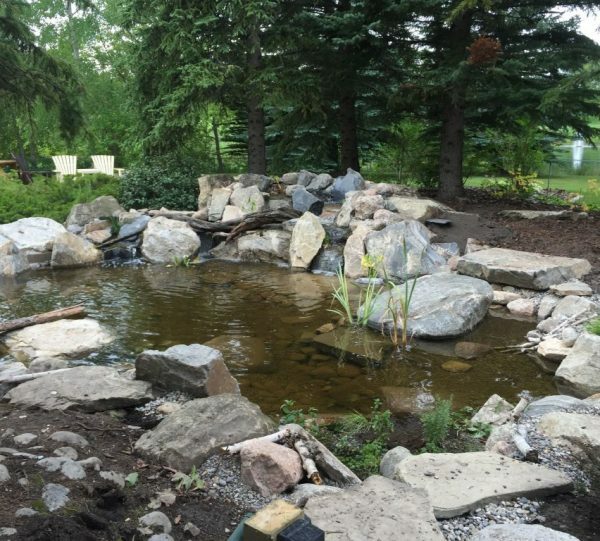 Waterrock Landscapes offers pond and water feature maintenance service solutions for all types of water feature in Calgary and surrounding areas, and we tailor our maintenance programs to meet the specific needs of each customer. As Spring and Fall each approach, our experienced staff provides seasonal opening and closing services. For customers requiring more attentive or year-round services, we offer basic contracts starting at 3 visits; Spring start up, Summer maintenance, and Fall shut down. We also schedule visits on an as-needed basis in order to maintain optimal performance of each water feature. We’re also available to deal with emergencies, repairs and unforeseen events that affect the performance of your pond, water feature, fountain or filtration system. 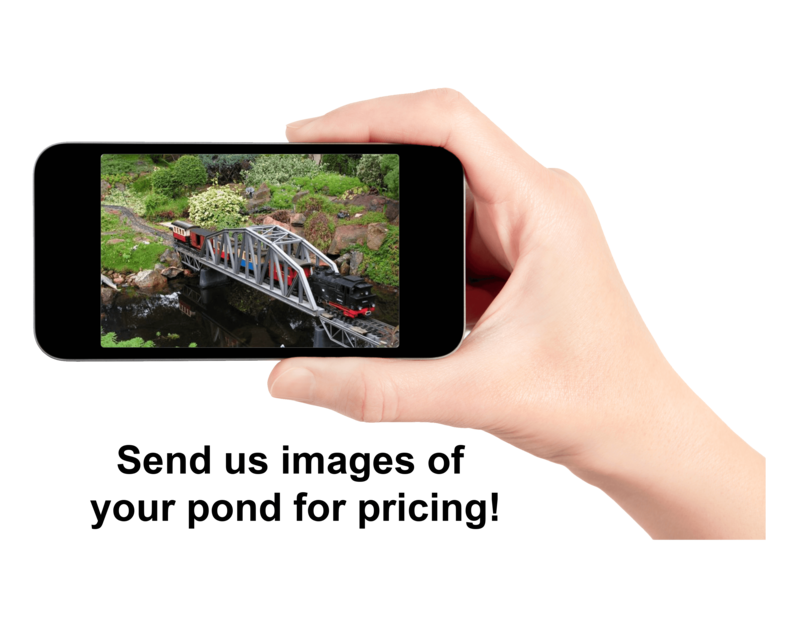 Having pond trouble please send your photos and measurements for an online quotation from our experts. ● Install piece of 4×6 wood in skimmer box to stabilize.